Off the shores of mainland Michigan, where the world’s third longest suspension bridge joins the upper and lower peninsula, is a Lake Huron island that allows you to step back in time. Most visitors arrive by ferry from Mackinaw City in the lower peninsula or St. Ignace in the upper, and when they make footfall on the island it’s like stepping back in time. 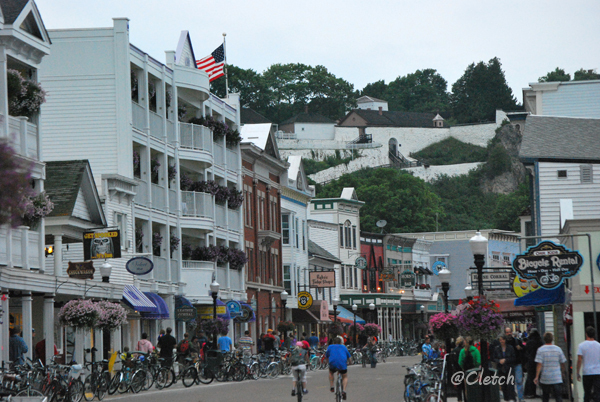 The only way to travel around Mackinac Island (pronounced mackinaw) is by foot, bicycle or horse. Most of the 3.8 square miles is part of Mackinac State Park, the entire island is considered a National Historic Landmark. 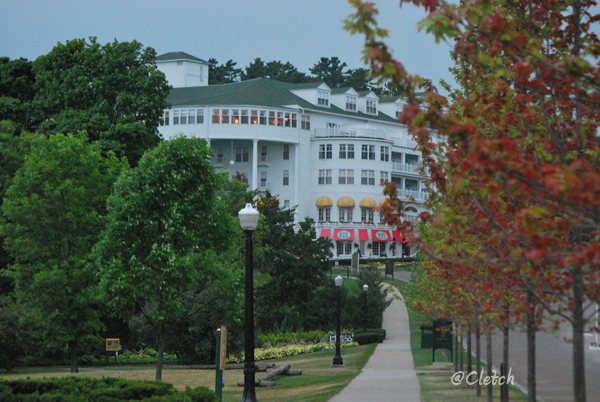 The island architecture is stunning with the Grand Hotel sitting high on a hill setting the standard for luxury with its Victorian era opulence. Living on this island would truly be “getting away from it all.” Imagine residing in one of these fine homes where you can watch freighters glide through the Straits of Mackinac below an expansive bridge within walking distance of afternoon tea at the Grand Hotel. There’s an 8 bedroom, 11 bath, 7000 square foot home on Main Street that can fulfill that $3,250,000 dream for you. And additional 1,277 square feet exists in the finished basement. Built in 1900, this casual Victorian shingle style cape cod has 3 floors above ground giving front bedrooms the best view of the straits. Pretty landscaping adorns the .28 acre lot. Although not specified on the listing, it appears as though the owners may have private beachfront access across the street. As is typical of this building era, the interior is ripe with dreamy architectural details such as built-ins, high ceilings, wide baseboards, arch details, half moon windows and a huge covered front porch, perfect for lemonade afternoons and family games in the evening. There’s no need for a garage. Known as “Lakewood” Cottage, this is resort living at it’s finest. 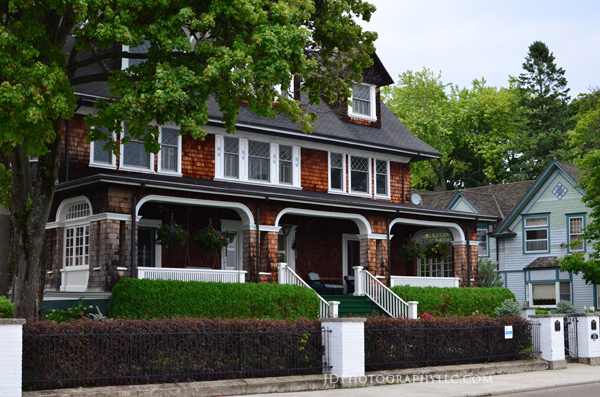 Ann Bronfman of New York was the owner of “Lakewood” cottage until her death in 2011. Discovered I actually love jalapeno margaritas! I blame @baldinthetrees for expanding my hot pepper horizons.